Is Removing A Member Of Congress A Possibility? Is Removing A Member Of Congress A Possibility? 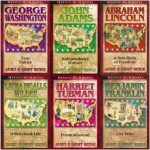 Foundations Of Freedom Thursday! Is Removing A Member Of Congress A Possibility: Its Foundations of Freedom Thursday, a special day of the week where we get to answer questions from you, the listeners! Always answering your questions from constitutional principles! 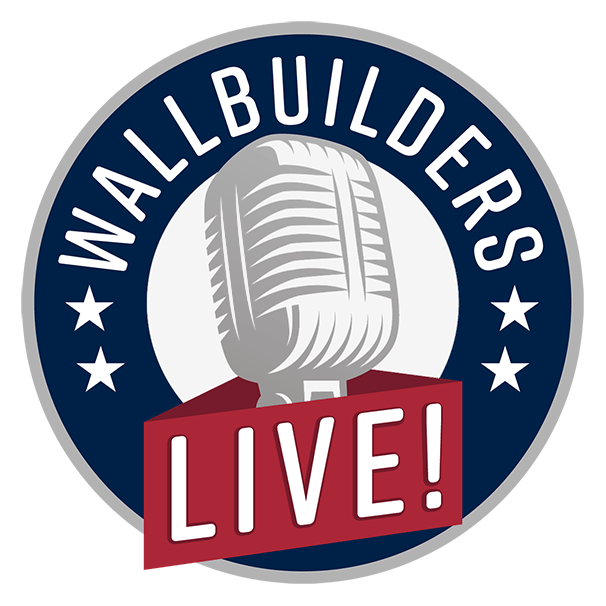 Tune in today as we answer your questions, right here on WallBuilders Live! You’ve found your way to the intersection of faith and the culture. This is WallBuilders Live! And, you’ve found us on a Foundations of Freedom Thursday. That’s our one show a week where we let your questions drive the conversation. So, you send your emails in, and then we try to do our best to answer those. You want to send them in about the Founding Fathers, or issues happening right now in the world of politics in our nation, or in government, and the different things that happen in your community or state or nation. Where is the culture going? We are here with David Barton. He’s America’s premier historian and our founder at WallBuilders. Tim Barton’s with us, a national speaker, a pastor, and president of WallBuilders. My name is Rick Green; I am a former Texas legislator. Check out WallBuilderslive.com if you like this Foundations of Freedom Thursday program and you want to dive further into those foundational principles. You can go to that website, get into the archives, and listen to previous Thursday’s programs. Also, find the Friday programs where you get a lot of good news. Listen to those interviews Monday through Wednesday. Lots of great information right there at WallBuilderslive.com. And, then also go to WallBuilders.com; that’s our main site. That’s where you can get books, DVDs, curriculum programs, and all kinds of things that are going to equip and inspire you and your family to be better citizens. And then, the last thing I’ll encourage you to do is on either one of those Web sites, look for that donate button and help make this program possible. We are a listener-supported program. It’s because of your support that we’re able to do this program; so, please consider making that donation either one time or possibly being one of our monthly donors. Monthly donors are willing to give every month throughout the year. Whatever works for you–might be what cost you a cup of coffee. Or, maybe get five bucks a month; some people out there can get 500 dollars a month–Whatever you can do to help us continue to spread this good word and help restore America’s Constitution. David, Tim, its Foundations of Freedom Thursday. Here we go. I’ve got a ton of questions for you; I know we won’t get to all of them, but we’ll do as many as possible. You guys ready to hit it? Let’s do it. All right, the first one is out of Pennsylvania and comes from Jeff. And, by the way, Rick, that is something that he’s reading from our writings. That’s what we have on our website and in some of our books. So, he’s using that quote on which to base this question, a statement that we make at WallBuilders. So, David and Tim, let me see if I toss this to you the right way. So, I think what he’s saying is that people around him are saying, “I know those crazy people at WallBuilders are wrong. The Ten Commandments aren’t the basis of our civil law. We have the Ten Commandments in all these places because of a movie out of—” when was that? Charlton Heston and Cecil B. DeMille–in the 50’s, right? Yes, that was a 1956 movie. And, at that point in time, actually Yul Brynner, who was—do you remember who Yul Brynner was in that movie? Cecil B. DeMille and Pharaoh or the Fraternal Order of Eagles? He was Pharaoh. Pharaoh and Cecil B. DeMille traveled the country advocating Ten Commandments. The Fraternal Order of Eagles helped put those Ten Commandments up in a number of city parks and a number of locations. And, Cecil B. DeMille, Yul Brynner, and even Charlton Heston, who was Moses, did travel the nation promoting that there at the time of the movie. No question about that. Am I wrong in that? You guys have actually have Cecil B. DeMille stuff in the library at WallBuilders. We do. And, what was happening at the time this movie came out was the Supreme Court had begun signaling, for the first time, that we needed America to be more secular. They started in 1947, when they gave a reinterpretation of the phrase “separation of Church and State,” which is a well-known phrase that had been used in law long before then. But, they came out with the new interpretation that said, “, that basically means we have to keep everything secular. We need things to be secular: schools, the public square.” And so, the court started signaling in 1947, and in another case in 1952, where they started making it really clear that they were ready to move the nation in a different direction. And so, as you see that begin, this is almost like a reaction to that: “No, we can’t become more secular and move the nation more secular. We can’t let it be more that way.” So, there is no doubt, I think, that you can correlate what Cecil B. DeMille did with the direction that the court was announcing that it was wanting to go. So, I think that’s an accurate thing to say that the tone you saw, Rick, in the beginning that—what did you call it? “A VHS,” is that what you called that? Don’t pretend like you don’t have hundreds of those in your closet. Yeah, I’ve seen that closet at the ranch, David Barton, filled to the wall. Forget hanging your clothes if you’re in the guest room of David Barton’s ranch. You’re not hanging any clothes up because the closet is wall-to-wall, bottom-to-floor, on the shelf, VHS’s. Well actually that’s my historical archives is what you were seeing there. That’s stuff in previous generations. OK well let’s just throw out a few facts. In the U.S. House of Representatives. There are 23 of the world’s greatest law givers honored inside the House chamber. There is one law giver that gets more honor than any other, and that is Moses with the Ten Commandments. Moses, the giver of the Ten Commandments, received them from God. That was 1924 that they put Moses up as the central feature of all the law givers in the history of the world. Moses is the guy. Then, if you also want to move three years later, in 1927, the Pennsylvania Supreme Court had murals installed in the Supreme Court that went thoroughly through the Ten Commandments. So, it shows Moses receiving the Ten Commandments, bringing them down the mountain to the people. That’s 1927. Then, if you want to go to the U.S. Supreme Court, it was built in 1935. When you first walk into the court, in the triangle right above you, there is Moses with the Ten Commandments. Then you walk into the Supreme Court chamber, and right there above the justices is Moses with the Ten Commandments. You get in the chamber and shut the Supreme Court door, you see the Ten Commandments on the back of the door. That’s what the justices see when the door is shut. So, that’s all 1935. Also in 1935, in the National Archives, a building that we built to display the original U.S. Constitution and the original Declaration of Independence, as you walk up to see those two foundational documents of America and her government, if you’ll look at your feet, you’re standing on top of a copy of the Ten Commandments etched in brass right there below you. That’s 1935. I can keep going through others as well. Clearly, these pre-date Cecil B. DeMille by a long way, including those in the U.S. Supreme Court. It’s a matter of fact the Ten Commandments actually go back 3500 years. Cecil B. DeMille did not invent that. It was not Yul Brynner and Charlton Heston. So, we’ve been acknowledged in this in America from foundational time. The early legal codes of the colonies quoted the Ten Commandments and gave chapter and verse as to why they punished certain crimes but by certain penalties. So, I mean, that’s a ridiculous argument. But, that probably shows that they don’t know much about history. Well, it certainly is a popular argument, though; and, it’s not just they don’t know much about history. This is where a lot of culture is: we just don’t recognize the influence of the Ten Commandments or the influence on how many laws of America, and especially early America, were shaped specifically because of the Ten Commandments. 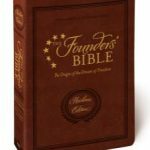 There was actually an article in the Founders’ Bible, which is one of the products that we’ve got on WallBuilders. And, it goes through different—as you read through the Bible, there are different sections where we put in lots of quotes from the Founding Fathers showing how they use these specific versus the shape much of what they did. Well, there’s a section on the Ten Commandments that we have inserted. Actually, the Ten Commandments are listed twice in the Bible: once an Exodus, once in Deuteronomy. And, by the Ten Commandments, we put where for an early law in America, they used the Ten Commandments to actually write the moral, legal codes for America. And so, the idea that that the Ten Commandments have only been up in public places because of a Hollywood movie from the 1950s, is really not an accurate statement; but, it is a reflection that we don’t recognize the significance the Ten Commandments played on culture and why it was displayed in so many places even before the 1950s. Earlier generations of America recognized the importance of the Ten Commandments and knew how much it shaped our nation and how vital they were for our nation to remain free. And, I’ll point to one other resource. 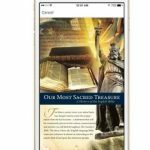 If you go to the WallBuilders .com website, in the 1990s, we’re involved in a number of the cases where the Ten Commandments were being challenged. That was in Kentucky and other places. So, as a result, we were considered to be an expert witness on historical issues and did several briefs with courts. We have one of those Ten Commandments briefs on the website. And, it goes through and shows these specific laws starting back in 1610, 1611, colony after colony after colony that side the Ten Commandments specifically in their laws, giving chapter and verse. And, it goes through all 10 of the Commandments, even in the federal courts, showing how the federal courts have taken each of the Ten Commandments and have used them in making their rulings, all 10 of those. So, that is a legal brief that’s a lot of fun to read. It reads kind of like a little historical piece. As much fun as that would be, I’d rather read some legal briefs. Go ahead. You enjoy it. Well, yeah. This really is one that you could enjoy because it’s not written like a legal brief. It’s written like kind of a white paper on the impact of the Ten Commandments in history. So, actually I can say that this one doesn’t read like a legal brief but like a pretty interesting, historical article on how the Ten Commandments shaped America. So, it definitely goes back. Great question by Jeffrey. But, you can tell the critics are wrong. If you want to print out a copy of that legal brief we have, it’s a great historical article that will point them in the right direction. Quick break, guys. We got a ton more questions. We’ll see how many more we can get in for today’s program. Stay with us. You’re listening to Foundations of Freedom Thursday on Wall Builders Live! This is David Barton with another moment from America’s history. Joseph Story is one of the most important names in American jurisprudence. Not only was he placed on the U.S. Supreme Court but President James Madison but he also founded Harvard Law School and authored numerous legal works on the Constitution. While today’s revisionist claim that the goal of the First Amendment was absolute religious pluralism. Justice Joseph Story vehemently disagreed. According to Founder Joseph Story, Christianity, not pluralism, was the goal of the Founding Fathers in the First Amendment for only a Christian nation is tolerant and thus is truly pluralistic. For more information on God’s hand in American history contact WallBuilders at 1 800 8 REBUILD. We’re back here on WallBuilders Live! It is Foundations of Freedom Thursday. Thanks for staying with us. Next question is coming from the audience. And, if you want to send one in, just email it to [email protected] Here’s our next question. And, I don’t know, guys, if Marcus is thanking us for removing a member of Congress, or for just talking about how you can do it. But, I think there’s some members that if they were removed, I would say “thanks” too. Yeah. There are some that we would like to see removed; but, at the same time, I will uphold the right of the people to choose even stupid people. I’ll go to bat for them. There’s a lot of senators I do not think know anything about the Constitution, shouldn’t be there, they’re not good for the nation. But, I’ll support the right of the people to make wrong decisions. So, going back to how you do this. He mentioned impeachment. So, when you look at impeachment of presidents or of Supreme Court justices or federal judges, whatever, you have a situation where that there was an impeachment undertaken of a particular member of Congress. In this case, a U.S. senator whose name was William Blount. You guys know anything about William Blount? Come on guys. He’s a signer of the U.S. Constitution. I was thinking the name sounded really familiar, and I didn’t know why. Wait a minute. It was a signer of the Constitution that was impeached? A signer of the U.S. Constitution. Yes. He signed the U.S. Constitution 1787. In 1790, George Washington made him the territorial governor over the territory of Tennessee. Tennessee became a state in 1796. When it became a state, the state of Tennessee sent William Blount to be a U.S. senator. So, under John Adams—because Washington retired at the start of 1797, fter his two terms. Then, Blount, who signed the Constitution, is now sitting in the U.S. Senate under John Adams. And, it comes out that he has been engaged in a conspiracy to get Spanish Florida—and, Florida back then was owned by Spain. We didn’t acquire that till, I think, 1819, and in a treaty with Spain, an agreement we made with them. So, at that point Spanish Florida, which obviously is a long way from Spain, and Louisiana, which at that point was still being owned by the French. And, the the Spanish guys were going back and forth over who owned it. So, Blount comes up with this idea of having the Indians and frontiersman attack those two territories and take them. Now, he wanted that because he was a land speculator and he got upside down and needed an infusion of income. And so, what he does, as he’s sitting there as governor, he undertakes this conspiracy to get foreign agents involved in taking this land, so that he can transfer it to the British, so that he can make some money and get himself out of debt. Well, obviously, that’s not very good behavior. And, the Constitution says that you can impeach for bad behavior. This is while he was a congressman? This is while he was a U.S. senator. He did this while he was a governor, and it came out when he became a member of the Senate. So, he did it while governor; but, they didn’t know about it until his time as a senator. And so, the obviously the sense was impeach the guy; get him out of here. So, the House moved for impeachment the Senate never did convict him because they expelled him first. And so, they voted to throw him out of the Senate; but, they never got around to impeaching him. So, since then, it’s really kind of been the precedent that you really don’t impeach a member of Congress or a senator, you throw them out. I mean, the House and the Senate have the power to expel members. So, if it’s bad enough to be impeachable, just expel them; you don’t have to go through the trial. So, really the process is that the House has to vote to expel its members, and the Senate has to vote to expel their members. You can impeach someone with two-thirds; but, you can expel them with two-thirds. And, if you expel them, it only takes this act of one body; it doesn’t take two. To impeach, you’ve got to have the House vote for a majority for impeachment articles, and then the Senate, two-thirds, has to convict. So, each body, House and Senate, is able to police its own members. And, because of that, there really isn’t the use of impeachment in the House and Senate anymore. But, it all goes back to a guy who actually signed the Constitution who was thrown out of the Senate. And, by the way, went home and got re-elected. And, so the people of Tennessee is still liked him. He really did. He went out and got re-elected. So, no lasting political damage to him, except in the history books where he did get a conspiracy to take foreign powers and get things moving for his own aggrandizement so that he could have the money in his pocket. Wow. And, it was William Blount. Interesting. Okay, man. All the shows, we’ve done all the study we’ve done on the Declaration and the Constitution, and I did not know about that or that happened. Wow. 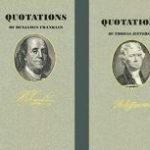 I did know there was a signer of the Declaration that was killed in a duel. That’s a little different. But, anyway. Stay with us, Folks. You’re listening to WallBuilders Live! Hey friends, a special event is coming to you. It’s called Red, White, Blue, and Green, a stage show that’s our opportunity to bring history and the Constitution to life, and to equip and inspire you, your family, and the people at your church and in your community, to get involved and do more. To be given true action steps on what you can do right there in your backyard to preserve freedom for future generations.It’s going to be a fun evening. We’re going to laugh and learn together and get educated. There’s gonna’ be lots of great music, and presentations, and inspirational stories. It’s called Red, White, Blue, and Green. You can make it happen right there in your hometown. We’re gonna be filming live in Thousand Oaks, California, on the evening of March 23rd, and streaming it all across the nation. You can be the one to bring it into your community by streaming it to your church, or in your home, or even just watch it individually if you like. 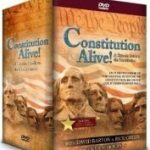 Go to ConstitutionCoach.com today and you’ll find out more. ConstitutionCoach.com. The event is on March 23rd. We’re hoping you’ll participate with us and help us restore America’s Constitution. Welcome back! Thanks for staying with us on WallBuilders Live! It’s Foundations of Freedom Thursday today. Great questions today, though we didn’t get to that many; but, we will get to more next Thursday. I want to ask a question. I’m going to take the listener supporters’ opportunity ask questions here and use it myself. But, here we just learned something about the signers of the Constitution that I didn’t know. David and Tim, I’ve been with you for a number of years. I don’t know if I want to admit my age; but, around 20 years. How many years, Rick? Would you say that again? Yeah, something like that. I mean, I learn from you every show that we do. Every time we go through that library, there’s something new. I enjoy that. And, it’s surprising how often it becomes something that significantly impacts my worldview and my positions on issues. I mean, getting educated in that way is the only way you can make good decisions, and continuing to get educated in that way. We’ve got some opportunities, and I want to. And, that’s my question for you guys. For the people out there that are listening and say, “Okay, yeah, I’ve obviously got a lot to learn too. What can I do? Where do I start? Well, I think, Rick, you did mention Constitution courses that you often teach. Constitutional Alive! is a really great place for most people to start in general. But, for the next generation, this is a reason. Was it 15 years ago that you guys started Patriot Academy to help train a next generation of leaders? As much as it matters that adults are gaining this information, gathering it in and understanding, upholding, supporting these principles; if we don’t get the next generation, then there is no future of America. At least, no future as the land of the free and home of the brave. We might still be brave people, but we won’t be free anymore because socialism doesn’t allow freedom. So, we have to reach the next generation to understand these principles of foundations, which is what Patriot Academy was all about: training the next generation of leaders to know how to lead in a moral and a constitutional manner and know what it takes to do an election, to be an elected official, to work on a campaign, to work in different congressional offices and capacities. And actually, over the years that we’ve done Patriot Academy, we now have people working in Washington D.C. We now have people that are state-elected officials who are serving in various capacities. And so, we’ve seen a lot of positive things happen from Patriot Academy. In the summer, we do our leadership training program for 18 to 25 year-olds, students that there are just getting out of high school and now they’re going to college and are going to hear professors saying all kinds of crazy things. They might challenge their faith as a Christian; they might challenge the idea that America is an exceptional nation or the Founding Fathers were good people or the Constitution is a good document. And so, we spend two weeks going through the apologetics for the Christian faith and America, the apologetics for the Constitution. It’s not that we’re defending America from having any problems with the Founding Fathers. We never say that these were perfect people. The starting place for everything we do in life is that “All have sinned and fallen short of the glory of God;” so, we’re not upholding the Founding Fathers as being godlike people. No, these were imperfect people who made, some of them, terrible decisions. However, what they were able to accomplish and how God used them and in the things they did, in the Declaration and the Constitution and the Bill of Rights and the principles they set forth. And helping kids learn these ideas and this philosophy, and giving them the foundation, is really what we believe is the hope for the nation: for the next generation to be infused with these principles of truth and liberty. Well, folks at home, you can be a part of that. You can actually direct a student to these programs to get them educated in this way at an early age. Get them fired up and excited about learning history, studying the Constitution, being a good leader in whatever career they’re going to go into. You can be the one that that really lights that fire in them and sparks that interest in them. 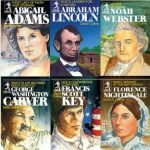 Just go to WallBuilders.com today, grab some of the links for Patriot Academy or the Leadership Training Program or the other things that we’re doing, and send them to your friends and family. You’re probably thinking of a young person in your church or your local club right now that would benefit from this type of training. Not only send them information, you can be the one to sponsor them and make it possible for them financially to be able to go. So, get involved; be a part of that solution. It’s critical for the future of our nation. Thanks for listening today. You’ve been listening to WallBuilders Live!